Siviko is the only certified integrator of Ignition 7.9 in Bulgaria. The industrial control system is a combination of software, hardware and communications infrastructure that allows real-time data acquisition from the production process and its management and optimization. The main benefits of the industrial control system are increased productivity, data extraction from the production process and better quality control. better tariffs on the free electricity market. control of settings and greater automation. Ignition is unlimited, so at the affordable price of a single server license you can easily get all your data, implement any industry application, and have an unlimited number of customers – all from one universal industrial platform. 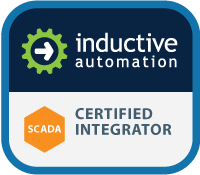 modules for creating complete SCADA, MES, EMS and IIoT solutions. other hardware devices and machines regardless of manufacturer. company founded in 2003 and based in California, USA. 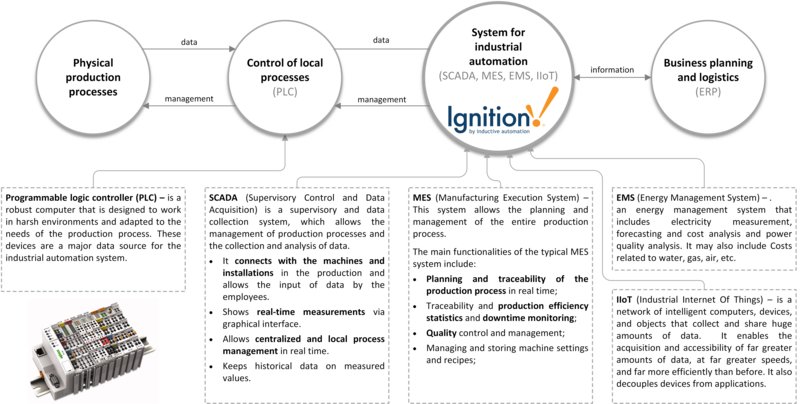 Ignition has an unique server-centric web-based deployment model. With Ignition, you can instantly web-launch an unlimited number of zero-install, full runtime clients on virtually any device. The central Ignition gateway can be on one central server or distributed across several servers, located on premise, in the cloud, or a combination of both. You can even put Ignition all the way out to the edge of the network. pressure, electrical parameters, counting input, etc. – computers, tablets and more. task and has a definite physical location. Often it is also a server. visualization on a monitor, tablet, phone, or other device. 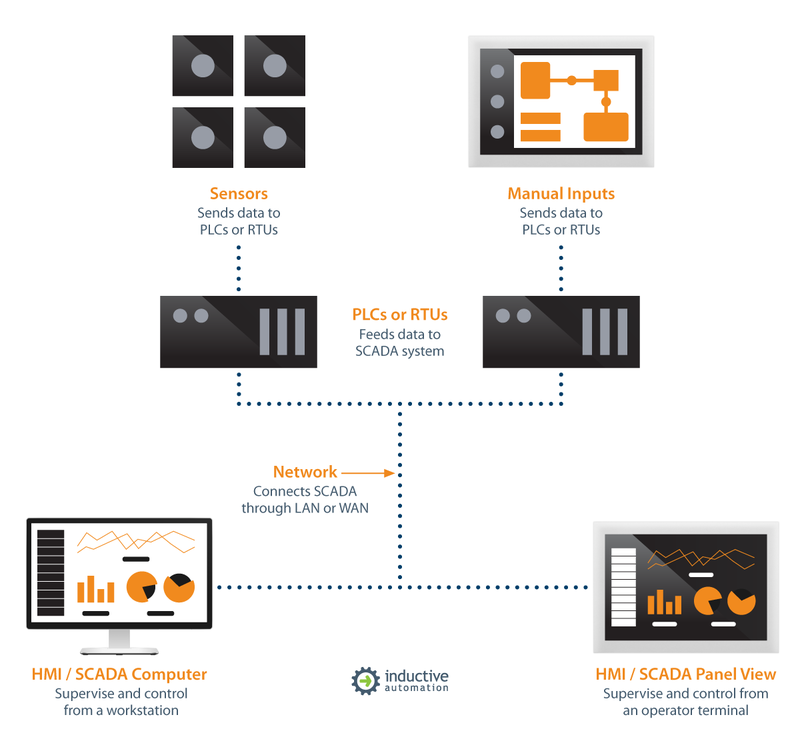 Numerous applications based on Ignition SCADA can be developed according to the specific needs. These are just some of them. The current state of the whole production and individual machine can be seen at a glance at mnemo charts. Manages and tracks key processes through predefined algorithms and boundary values. Alarms for events and accidents. Traceability of the reaction when removed. Loading, storing and managing settings (recipes) on machines and tracking their correct application. Energy management of electricity, water, air, gas and others. Quality indicators of power supply.. It facilitates operators’ work through guides, boundaries and blocking of wrong commands. Improves quality and reduces accidents. Traceability and material flow management – stocks, current status of orders, inputs, etc. Tracking performance of machines and operators. Maintenance management. Production data is stored digitally and is easily accessible for review and analysis. Statistical data. Reports and information on the production process produced automatically. Makes a link between the data generated in production and the ERP system. limited only by the server resources. connection – a computer, a tablet, a smartphone, and so on. for a specific need, to a system covering every aspect of production.